In order to maintain the quality and glow of your skin, you need to protect it from all types of harshness. And, you can do that only by following a proper skin care routine. Experts tell that exfoliation forms an important step in the skin care process and that skipping it will leave your skin care routine incomplete. This is because the rejuvenating glow that you get after going through the skin care routine is because of the exfoliating process. The reason why it is so effective is because it helps you get rid of all the dirt and the dead skin cells and allow your skin to breathe which automatically makes it brighter and glowing. 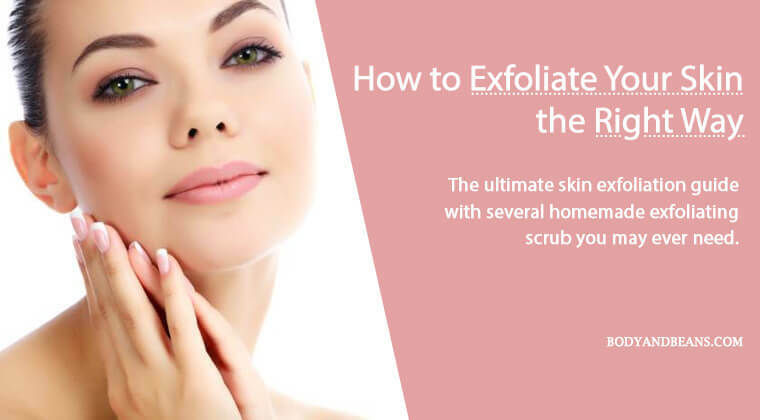 Sadly, not many are aware of this exfoliating process and even if they know about it, they fail to execute it properly and eventually, end up harming their skin and hence this guide on how to exfoliate your skin. If you have ever wondered about what is skin exfoliation and how to exfoliate your skin the right way, then here’s all you may ever need. Well, visiting a parlor is always the easier option, but many of us do not have so much time or money to afford frequent visits to a parlor. And so it is best to learn everything about skin exfoliation. Because once you learn how to exfoliate your skin the right way, you can easily exfoliate your skin on your own, and at home. In this skin exfoliation guide, I am going to talk about everything worth knowing about skin exfoliation. If you follow this post till the end, you will learn the right ways to exfoliate your skin and why skin exfoliation is so important. Skin exfoliation is basically a process of removing the dirt and oldest dead skin cells on the skin’s outermost surface. Skin exfoliation is an important skin care procedure that helps you get rid of old dead skin cells and thus helps in maintaining healthy and glowing skin. Exfoliating your skin is an important step but it must be done perfectly so that you get the maximum skin benefits. The main motive here is to remove or peel off the dirt and the dead skin cells from the outer layer of your skin and revive the glow within. However, this shedding or peeling of the dead skin cells from the outer skin layer is a natural process and it occurs naturally if you have a healthy skin. But this natural process is going to slow down once you age, and that is when you need to interfere and take extra care of your skin and exfoliate it at regular intervals. And, thus, this continues to slow down with each passing decade. Exfoliating your skin at home is not that difficult but, you have to be careful while doing it because we all have different skin types. So the exfoliating ingredient or any particular product that suits others may not suit your skin type. And this is exactly where you require proper guidance so that you can get the desired glow on your skin without causing any harm to your skin. Also, over exfoliation may lead to the removal of the only protective barrier of your skin which is equally bad for your skin, so caution is seriously required while exfoliating. The very first thing that you will have to do is to identify your skin type and then find out what exfoliating method or which scrub is perfect for your skin. Also, there are few basic things about exfoliation that you must know. I will be sharing with you most of the important information regarding skin exfoliation. All skin types require exfoliation and so it is a mandatory step to follow while maintaining a proper skin care routine. But, you need to choose skin care products and routine as per your skin type. This is because if you have got sensitive skin, using an abrasive ingredient will be too harmful. Similarly, for dry skin, using lemon will leave your skin super dry. So, you have to be careful while choosing the ingredients for skincare. To avoid skin damage, properly identifying your skin type is important. Once you know about your skin type, you can easily choose the suitable ingredients and skin care procedure that is best for your skin type. People with normal skin are the lucky ones as they have a wide range of options in front of them. But, even to them, I would request that if any particular scrub is perfectly suiting your skin, then you should stick to that, instead of fluctuating with products and ingredients very frequently. Now, as far as individuals with dry, oily and sensitive skin are concerned, I will help you out with some homemade exfoliating scrubs that you can use based on your skin type. Obviously, the ingredients are natural and so they are in general safer than the chemical containing market products that promise overnight miracles. However, the trickiest skin type is undoubtedly combination skin. This is because we often get confused what type of ingredient or product must be used so that your skin does not become too dry or too oily. Here, it is best if you go for a scrub that has got a neutral effect which will remove the excess oil as well as take care of the moisturizing part. Nature has provided us with many ingredients, some of which has natural skin exfoliating properties which you can easily use to exfoliate your skin. Obviously, the type of skin you have must be a factor while choosing the exfoliating scrub for your skin. But, remember that the main key of using the exfoliating ingredients is to encourage a natural cell turnover (which decreases with age) and keep your skin hydrated all the time. Listed below are the best ways to exfoliate your skin easily at home. Take a look and try some of these skin exfoliating techniques that suits you the most. The first natural ingredient that comes to my mind which can be used for easy skin exfoliation is sugar. This is because sugar is a natural humectant which has the ability to draw the moisture from the surrounding to itself that in turn, keeps the skin hydrated and fresh. Also, sugar is a natural source of glycolic acid which is nothing but an alpha-hydroxy acid which is great for fighting the skin aging symptoms. Sugar results in finer exfoliation of your skin and so it is a good choice for people with sensitive skin. The procedure to use sugar for skin exfoliation is very easy and simple. All you need is to take 1 teaspoon of granulated sugar or organic cane sugar in a bowl and mix 2 drops of water in it. You may also add 1-2 drops of lemon, orange, tea tree oil or lavender essential oil into the mixture but it is optional. After all of the ingredients are combined properly gently rub it over your face using your fingertips. Continue for some time and then rinse your face using normal cold water and pat it dry. Apply a mild moisturizer after that. However, while applying the mixture try to be careful that it does not enter your eyes. You may go for the simple sugar scrub but if you want to experiment a little more to get even better exfoliation results, then you can go for the sugar and coconut oil scrub. The reason why it gives great results is because here you get not just the skin benefits of sugar but also your skin gets all the love, care and protection from the nutrients present in coconut oil. Now, coconut oil is quite a skin friendly ingredient and so it is widely used by people of all skin types but it is best for individuals with dry skin. This is because coconut oil is a natural moisturizer that smooths your skin and removes all of the dirt and the dryness. And when it is combined with the exfoliating sugar, it gives wonderful results. Take 2 tablespoons of sugar and mix it with 1 tablespoon of coconut oil. Now clean your face and apply the mixture using gentle circular motions for about 1 minute. After that, wash your face using warm water and you are done. If you have got a sensitive skin, then oatmeal scrub is a great option for you because it is not that abrasive so will not harm your skin. Instead, it leaves behind a soothing feel on your skin which is very relaxing. Oatmeal is also anti-inflammatory in nature, so when you use it, it will heal your sunburns (if any) and other inflammations on your skin as well. If you want to keep the remedy really simple, then you just have to take adequate amount of oatmeal and grind it. After that, mix with adequate water and then apply on your skin. Remove and rinse your face with water after sometimes. Now, if you have got a normal skin and you are OK with experimenting to get better exfoliating results, then I would suggest you to use dry lavender flowers, powdered milk and cornmeal along with the healthy oats. Here, you just have to combine all of the ingredients well and then apply the mixture on your damp skin and massage well. Let it stay for a while and then rinse your skin using warm water. Lemon is a great exfoliating ingredient and it clears your skin off the dirt and the impurities and leaves a brightening effect on your skin. It is nothing but natural alpha hydroxy acid which removes the dead cells from the top layer of the skin and brings forth the natural glow of your skin. Hence, lemon, when mixed with the exfoliating sugar gives excellent results. This remedy is great for anyone who has got oily skin as lemon will help remove all of the excess oil present. However, other individuals especially those with combination skin can also use it because this remedy also includes little bit of honey and olive oil that will moisturize your skin and neutralize the effects and not let your skin become too dry. Take half lemon and extract the juice out of it. Then put it in a bowl and whisk it along with 1 tablespoon of olive oil, 1 tablespoon of organic honey and half cup of granulated sugar. Stir properly unless all of the ingredients combine well. Then apply the mixture on your skin in gentle circular motions for about 1 minute. After that, rinse using warm water. For acne prone skin, the yogurt scrub can be a great choice. This is because yogurt is probiotic in nature and contains lactic acid which is proven to be great in reducing acne and acne spots. It also makes your skin smooth and soft by clearing your skin off all the dirt, immunities and the dead skin cells and brings a brightening aftereffect. The method is very simple. Just take adequate plain yogurt and apply it evenly all over face and neck. After that, allow it to sit for few minutes and then rinse it with water. You will notice the difference within a few applications. Papaya is a great exfoliating agent and is one of the best ingredients for exfoliating skin, especially if you have dry skin. The reason is because papaya contains papain which is an enzyme that helps dissolving the dead skin cells. It is also very effective in skin healing and also lightens the fine lines and the age spots. In addition, papaya will also nourish and moisturize your skin and remove the dryness and make your skin smooth and soft. 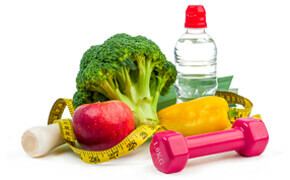 Take a papaya, preferably a green one as papain is more potent in young fruits. Then mash the papaya and make a smooth paste out of it. Now, apply it all over your face and neck, keep it for around 15 minutes and then wash your skin with warm water to get best skin exfoliation results. How to prevent damage to skin while exfoliating? If you exfoliate your skin the wrong way, it may result in negative effect. While choosing the right exfoliating scrub is important to avoid skin damage, there are some other tips recommended by “American Academy of Dermatology” is worth checking. It is important for you to know all of these so please take a note on each one of them and learn how to prevent damage to skin while exfoliating. Some products instead of improving your skin condition can actually worsen it. So, it is best if you can avoid switching products frequently and stick to one which has so long suited your skin type. Individuals having very sensitive, dry or acne prone skin can use a very mild chemical exfoliator containing alpha or beta hydroxy acids (many natural ingredients contain that like for example lemon) and a washcloth. Here it is best to avoid mechanical exfoliation which involves using tools like brush, scrub or sponge to remove the dead skin cells physically as it can highly irritate your skin. If you have got thicker oily skin, then you can go for mechanical or stronger chemical treatments. In case you have darker skin tone or have developed dark spots on your skin after bug bites, burns etc., then it is advisable that you avoid too strong chemical or mechanical exfoliation. This is because for some individuals especially those having dark skin tones, using too aggressive methods of exfoliation leads to dark ugly patches. Skin is one of the most sensitive parts of our body especially our facial skin, so it is better if you are gentle with it even if you have a normal skin. In case you are using a scrub or any chemical exfoliator, it is best if you apply the product gently in circular motion, keep it for 30 seconds and then rinse with lukewarm water. On the other hand, when you are using sponge or brush, then it is recommended that you go for short and light strokes. Avoid exfoliating on sunburned skin or if you have any wounds or cuts. Exfoliation generally dries your skin and so it is best if you use a good moisturizer after exfoliating your skin to avoid your skin from getting excessively dry. This step will also hydrate your skin. Using a moisturizer after exfoliation is a mandatory step for individuals with dry skin but it can be done by those with other skin type as well. How frequent exfoliation your skin requires depends on the skin type and the method you are using. Like for example, in case you use aggressive exfoliating methods, it is best not to use them too frequently. Also, avoid over exfoliation as it may harm your skin and lead to redness and irritation. Over to you: how do you exfoliate your skin at home? The better you are able to protect your skin from the harshness, the more gorgeous your skin is going to look. Too much of accumulation of dust, dirt and dead skin cells makes the skin look dull and lifeless and takes away the entire glow from your skin. So, if you want to revive the glow, you need to rejuvenate your skin and that can only be done by following a proper exfoliating method. Exfoliation is actually peeling or the shedding of the dead cells from the top layer of your skin so that you get that healthy natural glow of your skin again. It also unclogs the pores and let your skin breathe freely again. Thus, the importance of properly exfoliating your skin is very high and it must be included as a part of your skin care routine. Sadly, not many are aware of exfoliation and so I talked about skin exfoliation in details today. I have tried explaining the process, gave information about home remedies or in other words, shared some natural exfoliating scrubs which you can use as per the type of skin you have. I have thoroughly mentioned the methods of using all of the natural ingredients, so if you follow it properly, I am sure you will be able to exfoliate your skin easily and naturally at home. Besides, I have also given some basic but important tips about exfoliation as I believe these are important for you to know in order to avoid severe harm to your skin while exfoliating. You must take care while exfoliating your skin and avoid over exfoliation so that you just get the benefits from the process and not end up irritating your skin. At the end, I would like to tell you that if you love your skin, please be gentle towards it and protect it so that the charm and glow of your skin remain for long. I have shared my necessary views on exfoliation of skin. You are also free to share your viewpoints and feedbacks regarding the same. Also, if you know any other natural homemade exfoliating scrub which has worked for you, then please do share with us. So which is your favorite homemade scrub and how do you exfoliate your skin at home? Ok, bye for now and I will see you soon with some other amazing topics. Until then, stay beautiful, stay happy and do continue supporting us by liking, commenting and sharing the posts with others.